Your feet are cozy and ready to go in the Ariat® Merino Light Hiker 2-Pack Socks! Ideal for lowland hiking and everyday use. Mid-weight crew sock sits at the calf. 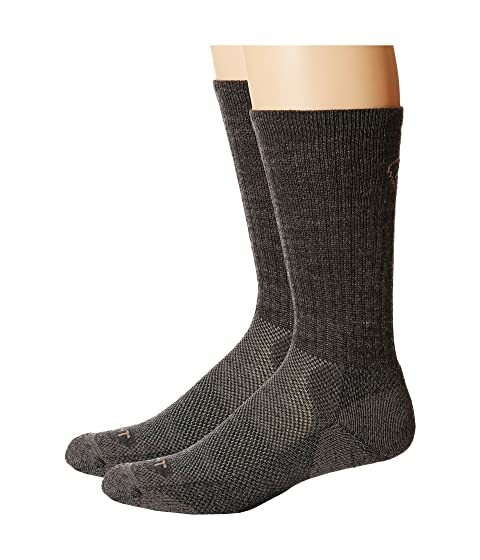 Warm, wool construction keeps your feet warm. Cushioned sole comforts your feet. 37.5% merino wool, 37.5% acrylic, 15% nylon, 10% lycra.